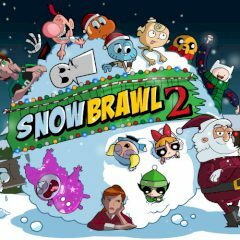 The Snowbrawl Tournament is a yearly snowball fighting tournament set on foot by Santa. As a tradition, all Cartoon Network characters are taking place in it. Whom you want to win? Finn and Jake or Ben 10 Team? Or maybe someone else? Choose the team you like the best and lead it to the victory!